← Sustainable intensification: a new buzzword to feed the world? Last September I critiqued the assumptions behind the prediction that 2.2 million people would be needing food aid. In order to raise funds and galvanise attention, international agencies, local lobby groups and the media were using an extreme worst case scenario figure, based on a variety of assumptions, many of them highly questionable. As it turned out, the rains arrived and a good season has followed (with some exceptions of course). In the section below, I offer some extracts from the most recent USAID-funded FEWSNET update on the food security situation in Zimbabwe. Good rains have boosted production and the current food security projections to September are largely very positive. It is amazing what a change in the weather can do. But it also adds to my earlier plea to be cautious about headline figures and assumptions in forward projections. There is no harm in being cautious – this must be the sensible stance – but overblown figures and dramatic proclamations that serve particular interests should be guarded against. The majority of very poor households across the country including the traditionally food insecure southwestern districts, will experience Minimal (IPC Phase 1) acute food insecurity outcomes between May and June owing to the projected above average 2013/14 harvest. Similar outcomes will continue from July through September as most households will still be consuming cereals from own production. Markets will continue functioning but most of the cereal supplies are likely to be locally procured with a few imports by private traders. As households begin to access cereal from their own production there have been significant reductions in monthly maize grain price trends. Since March, national maize grain prices have dropped by 11 percent, but in comparison to national averages during the same period last year the prices are still 16 percent higher. For maize meal the national average stands at $0.66 and has decreased by 2 percent in comparison to the same time the previous month, but remains 4 percent higher than the national average for same time last year. Month-on-month maize grain prices fell by 26 and 16 percent in Manicaland and Masvingo Provinces, respectively. Casual labor opportunities are projected to increase by up to 20 percent throughout the outlook period as a result of ongoing harvesting activities. Additional incomes, particularly in the northern areas, will be earned through tobacco preparation, sales and casual labor for poor households. However given cash constraints, most casual labor will likely be paid by in-kind. The first round results of the Ministry’s crop and livestock assessment indicate that there are increased chances of an above average harvest, especially for maize, millet, and sorghum. This assumption is based on an estimated 16 percent increase in cropped area for cereals this season in comparison to the 2012/13 season. Maize alone this season accounts for approximately 1.6 million hectares, which is an 18 percent increase from the previous season. This increase in area planted for cereals is due to fairly well distributed rainfall patterns this season. Ongoing tobacco curing and sales are boosting household income, particularly in the northern areas, where production levels are projected to have significantly increased. Based on the first round assessment, this year’s production levels has surpassed the 2012-13 season by about 21 percent. At the household level, higher than average tobacco production will increase farmer income levels and opportunities for casual labor opportunities (i.e. curing, processing, transportation) for poor households. Households benefiting from this labor will therefore receive additional income for food purchases and other livelihood needs. Cotton production this season is 16 percent below last year’s levels. The processing of cotton is ongoing in cotton growing areas but incomes are likely to remain low. The reduction in the area under cotton is due to marketing price uncertainty given the low marketing prices offered during the previous season. The increase in the availability of water due to the good rainfall this season will increase gardening activities from May through September. Vegetable production will provide both food and cash to very poor households. Livestock body conditions in areas including Matebeleland South and Masvingo Provinces have significantly improved and are in good shape. Despite the improved pasture and water access for cattle, the calving rate included in the recent first round crop and livestock assessment report remains low at 49 percent, and only 2 percent higher than last season. The FEWSNET report provides the assumptions it uses in this analysis, along with some useful graphics. The second assessment report is due shortly and this will update the situation. Certainly the tobacco harvest looks promising, and reports from many parts of the country shows grain production is good. 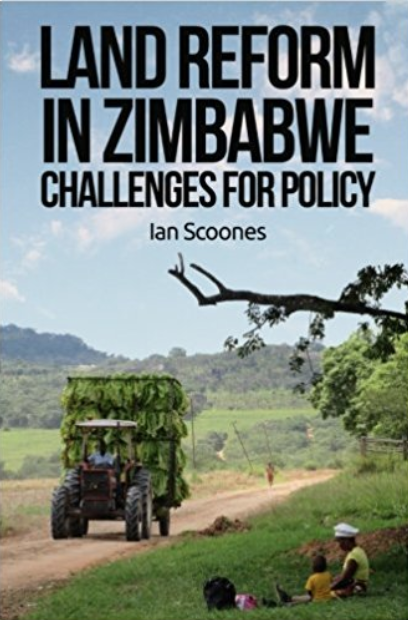 So, thankfully 2.2 million people in Zimbabwe didn’t need food relief assistance, and the agricultural production has prospered in a good season. This however should be no reason for complacency. Droughts strike hard in a system where irrigation is not widespread, and improving resilience to such shocks must be a key part of future investments. To be fair to the predictions of the need for food aid a few points should be made. 1. They were predicting up to the green season not that the food aid projected as necessary was to continue after the new harvest. 2. Many did need food aid and got it. But these things traditionally stop at the time of the green harvest anyway. 3. The government announced they were going to bring in 150,000 mt of food at the time also but it was to keep people going to the harvest not after the new harvest. I don’t think the point that the predictions were based up to the harvest are reflected in the post. It is also worth stating the government crack down on those that are not producing even with such bumper rains is imminent. This is seen in the statements by government officials in the press. That this is to be done in a bumper year is commendable because it does show the firmness of government to increase production from the farms. Basically the bumper rains highlight who is not pulling their weight than when the rains are poor it is not so obvious and more difficult to discriminate because of the difficulty of even hard working families getting something meaningful. The second round crop assessment suggested 1.7 MT of maize for this season. I suspect it’s more, as the measures result in underestimates due to a variety of sampling and non-sampling biases () I am not sure where the CFU are getting their figures, but they are way off. The CFU does not have the capacity to make national assessments, so should avoid making misleading statements to journalists. According to FEWSNET there are no serious food security issues in the countryin the near and medium term (see http://www.fews.net/southern-africa/zimbabwe). Of course imports will continue, particularly of wheat. Indeed imports have always been part and parcel of Zimbabwe’s food economy (see ). So I don’t think this is an opposing view, but just (again) a rather misleading article.